A potpourri of growth. 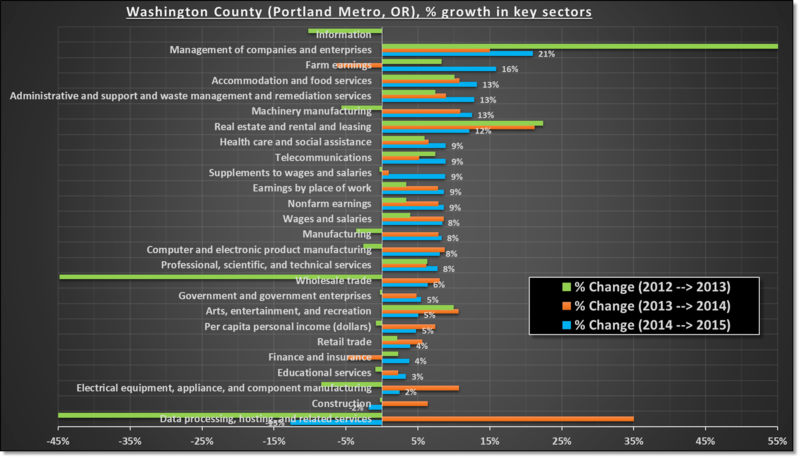 Economic growth in Multnomah & Washington counties (Portland Metro), 2012-2015. Portland Metro is one of the fastest growing US metro regions & Multnomah county, the seat of Portland, is a tech hub inviting the young & well educated. That shows up in the long list of fields reported here as half of the top twelve are dominated by technology and management. Others are related to fields serving this workforce, e.g. housing & food. The recent boom in housing market has been really impressive but that seems to have plateaued recently. Washington county, where most of the tech companies of the Silicon Forest are located, follows similar trend. 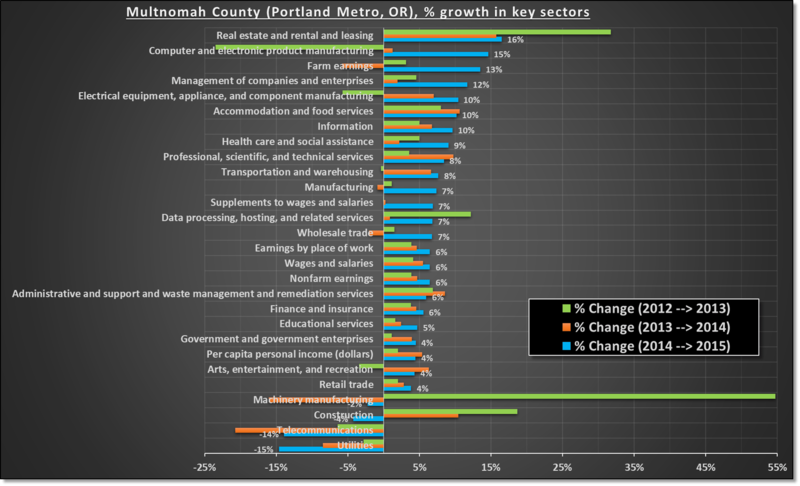 However, the higher paying management jobs show a much larger growth than tech jobs which young workers dominate in downtown Portland. Washington county has a large farming community as well and the growth in this industry has been mixed. Both these counties have seen a large data center growth, but that seems to be peaking now. Some of the well known fields that do not show up at top are finance, insurance, and arts, due to historic absence of these fields in Portland Metro area.